Inflation has remained abnormally low for a long time now, both in New Zealand and across most of the developed world. According to ASB Bank senior economist Mark Smith, "It's not just a local phenomenon. Globally, people are scratching their heads, saying why is inflation continuing to stay so low? We don't see anything on the horizon that suggests that inflation is going to pick up significantly, and so the Reserve Bank will have the luxury of keeping the official cash rate where it is for quite a long period of time." Food prices continue to be a key driver of inflation in New Zealand, with pressures still soft in many other sectors. According to Westpac Banking Corp senior economist Michael Gordon, food prices made the most significant contribution to the rise in the CPI for the September quarter, and help to explain the difference with the Reserve Bank's forecast of a 0.2 percent quarterly increase. "Vegetable prices have largely receded from their April-May spike when wet weather wiped out some crops. However, grocery prices have been picking up in recent months - particularly for dairy products such as butter, reflecting the rise in global prices this year," said Gordon, with food prices accounting for roughly 19 percent of the CPI. 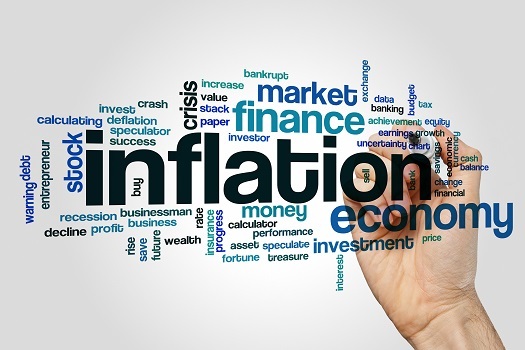 Rising petrol prices and the property sector also had a big effect on inflation, with the housing component accounting for more than half of all inflationary pressure over the last three months. Not only did annual construction costs stay elevated at around 6 percent, there was a 3 percent increase in rates over the quarter and higher rents recorded in many markets. Despite the relative health of the housing sector, low demand and other factors are likely to keep the official cash rate steady for some time to come. House sales have been muted compared with this time last year, with wholesale interest rates having remained steady at around 2 to 2.5 percent over the last 12 months. Rates have been on hold since November last year, with the central bank’s forecast showing no movement until September 2019 at the earliest. According to NZIER senior economist Christina Leung, there will be no urgency for the Reserve Bank to start raising rates unless there is an escalation in political tension around the world or a rate hike by the US Federal Reserve. While some economists are expecting the Fed to increase rates up to three times next year, there is increasing conjecture as to when or if this will happen. "Overall, while we would expect to see potential for interest rates to lift over the coming years, we would expect them to remain low from an historical perspective," said Leung.